Microsoft is pushing Windows 10 on a group of previously off-limits users as its new operating system nears the six month anniversary of its release. The company revealed Wednesday that users who are running Windows 7 Pro or Windows 8.1 Pro can expect to start seeing the Get Windows 10 app in their taskbar, suggesting that they upgrade to the new OS. 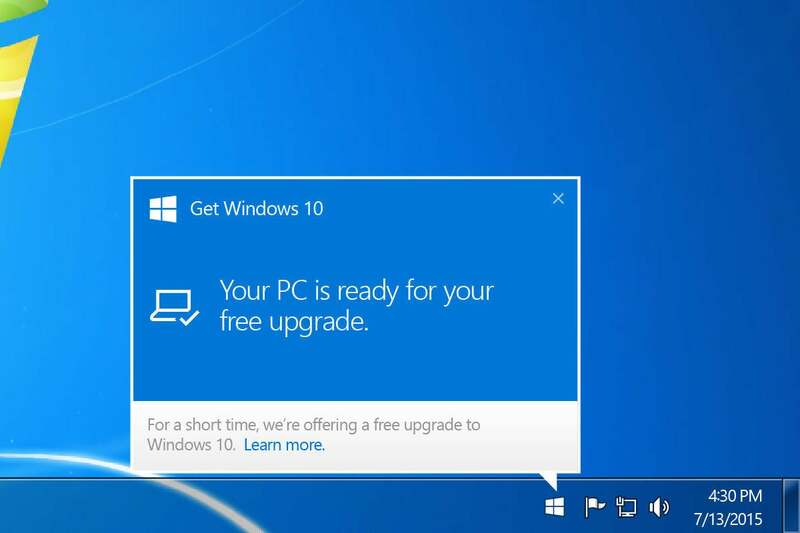 Big businesses don't need to worry -- since the Enterprise editions of Windows 7 and 8.1 aren't eligible for the free upgrade, users of that OS won't see upgrade suggestions through the Get Windows 10 app.